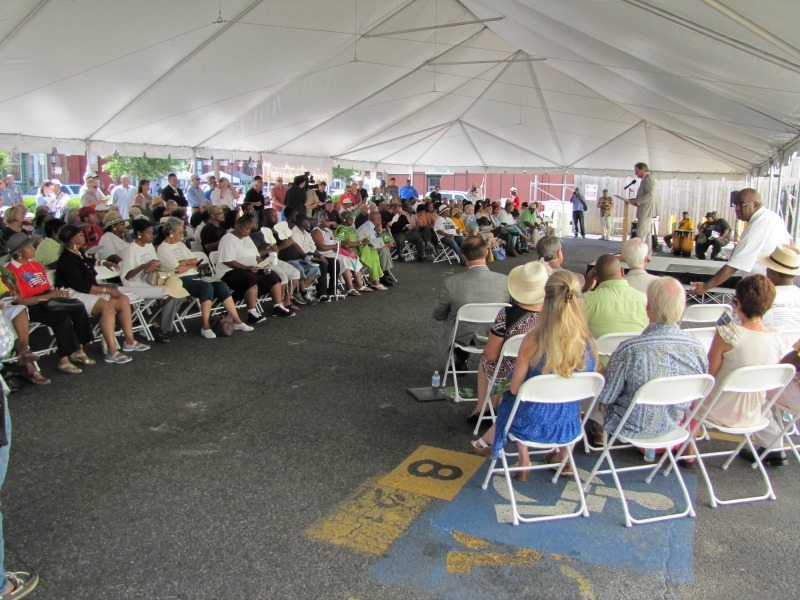 On a sweltering Saturday in late June, a crowd of about 500 packed under a large tent in Galveston hung on to every word of Rev. Virgil Wood. 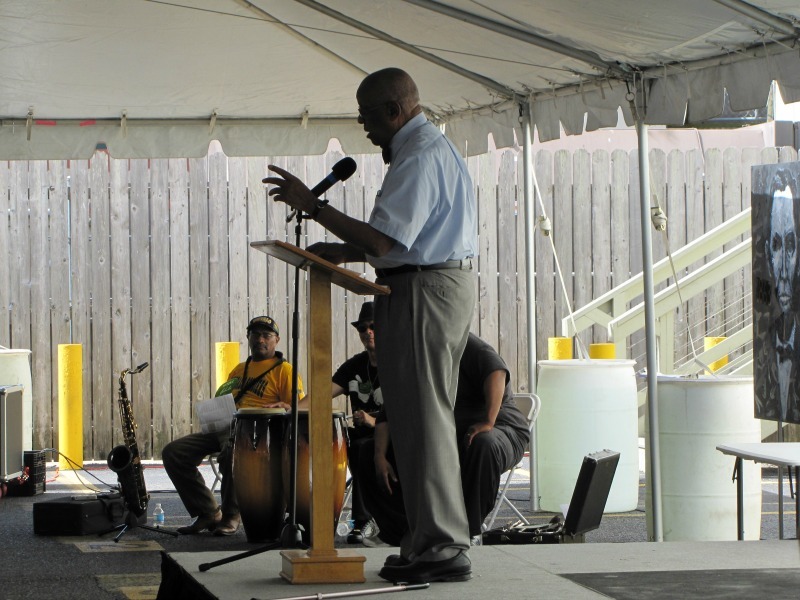 Although the 83-year-old was not officially on the program for the Juneteenth marker dedication, he capped off the revival-like atmosphere with a rousing account of an interview he conducted when he was 17 with a former slave who remembered hearing the news of emancipation first-hand from Union soldiers. 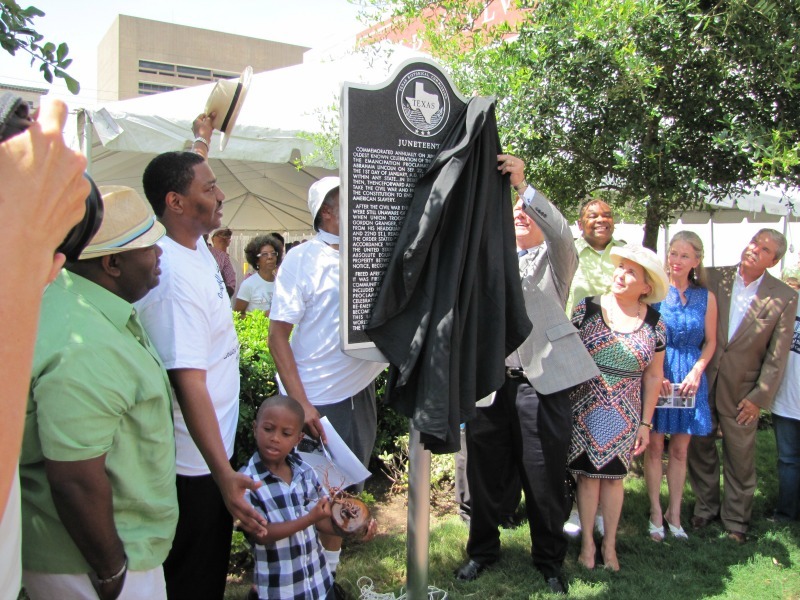 In a ceremony full of moving speeches about the history of slavery and emancipation in Texas, Wood’s story provided a personal connection to that not-so-distant past. 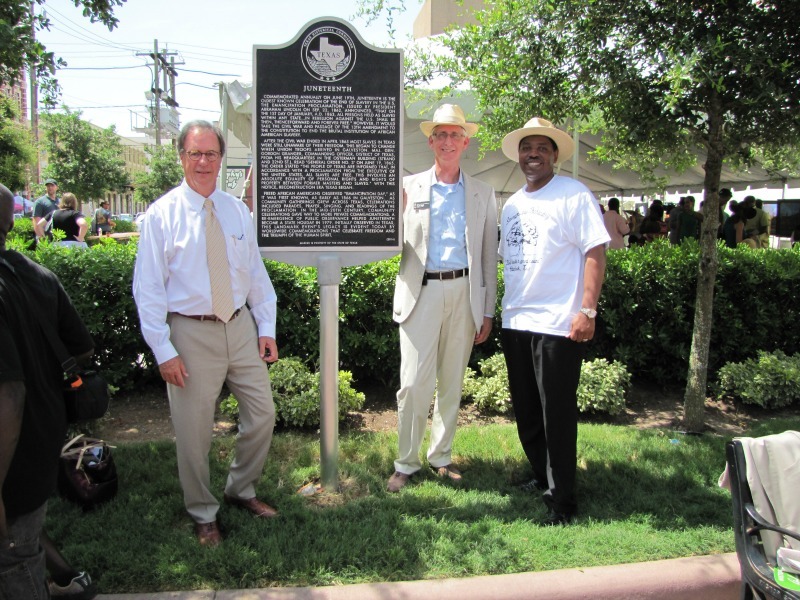 Other speakers at the marker dedication on June 21 included former Texas Historical Commission (THC) Chairman Matthew Kreisle; THC Executive Director Mark Wolfe; State Sen. Larry Taylor (R-Friendswood); U.S. Rep. Randy Weber (R-Texas); Hank Thierry, chairman of the Galveston Historical Foundation’s (GHF) African American Heritage Committee; former GHF President Debbie Morris; and Sam Collins III, chair of the State Board of Review, who yielded most of his time to allow Wood to speak. 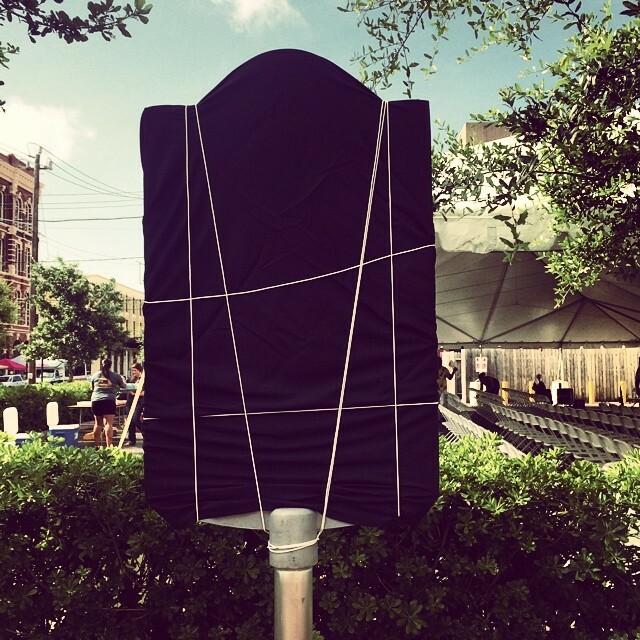 Collins’ act of sharing the spotlight befits his key role in the placement of the marker. He coordinated the project, working with numerous parties including the THC, GHF, Galveston County Historical Commission (CHC), and numerous private donors. 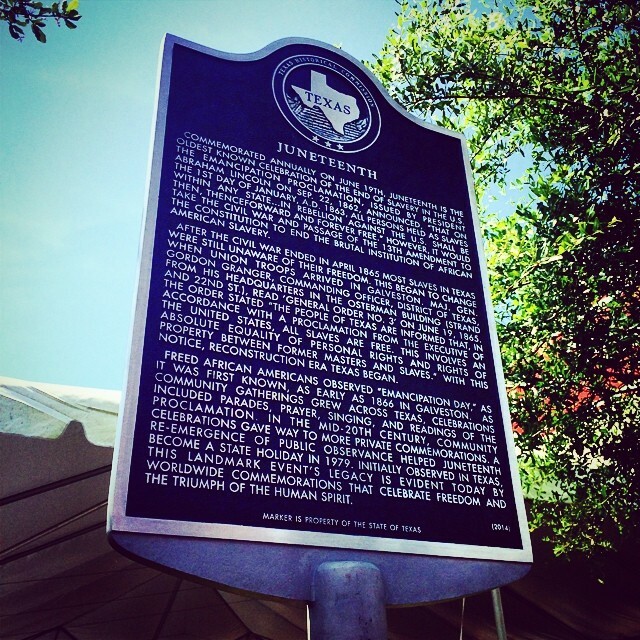 The idea began in 2010, when THC Military Historian William McWhorter was considering ways to commemorate the Civil War’s sesquicentennial and realized there was no marker honoring Juneteenth in Galveston, the site where Texas slaves first learned of their emancipation following the Civil War. His first thought was to apply for a THC-funded Undertold Marker, but he had to wait until the next application period. 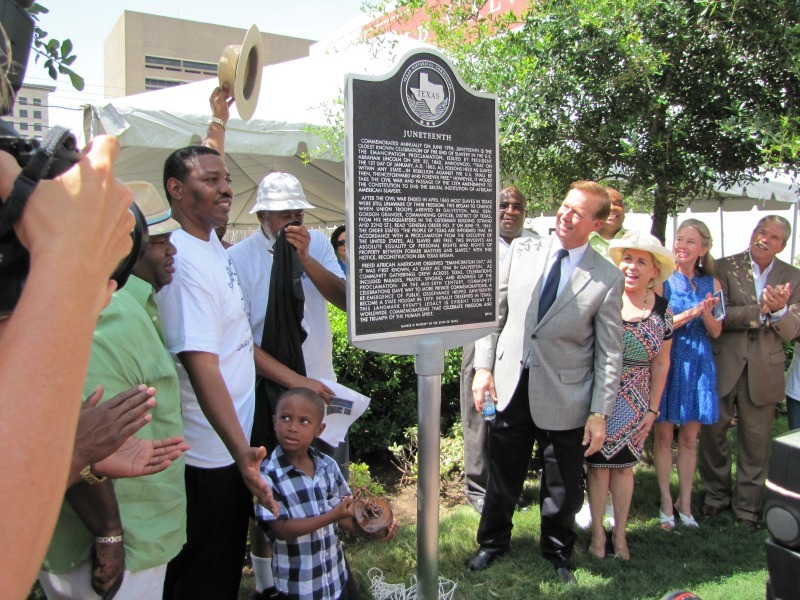 In December 2011, he posted a notice on the THC website about potentially placing a Juneteenth marker in Galveston to commemorate the sesquicentennial. GHF Executive Director Dwayne Jones saw the webpage and contacted the THC about the marker project and an unrelated series of statewide grant-funded sesquicentennial workshops. One was taking place in Galveston in November 2012, so McWhorter invited Collins to speak about Juneteenth. On the spot, the GHF agreed to be the sponsor, and the Galveston CHC agreed to submit it. Collins requested that the marker be placed in June 2014 to kick off a year of celebration leading to the 150th anniversary in 2015. The GHF worked with McWhorter to determine the marker location, set a timeline and—between November 2013 and the dedication date of June 21, 2014—made sure the inscription was completed, proofread, submitted by the CHC, sent to the foundry, and delivered to the site on time. 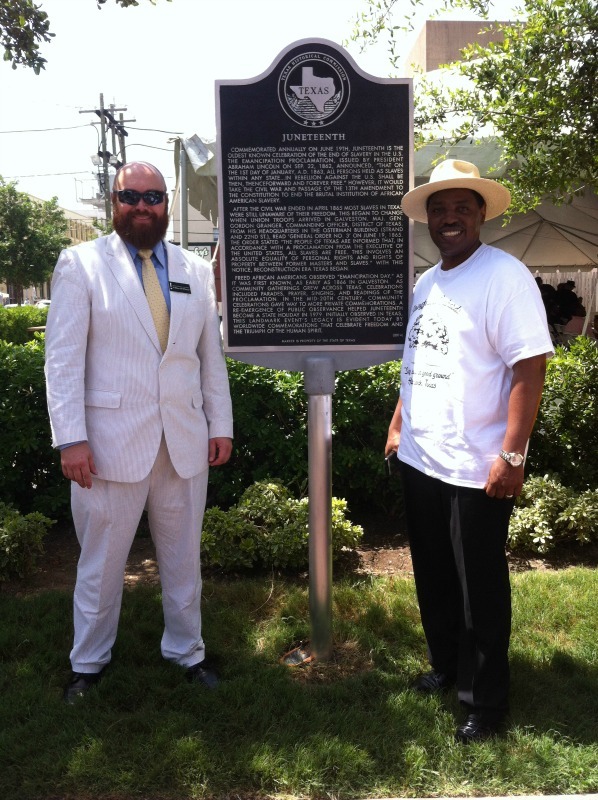 The GHF’s African American Heritage Committee raised $5,000 to fund the dedication ceremony and a free public concert. Virgil Wood speaks to an engrossed audience at the Juneteenth marker dedication ceremony in Galveston.